A quick blog post on how to solve the “Replace a process level token privilege to the user” error when migrating a Windows vCenter Server 6.0 to vCenter Server 6.5 Appliance. The error is generated after running the Migration Assistant versions 6.5 on a Windows machine where the vCenter Server is installed and the vCenter Server service is running under a custom service account. 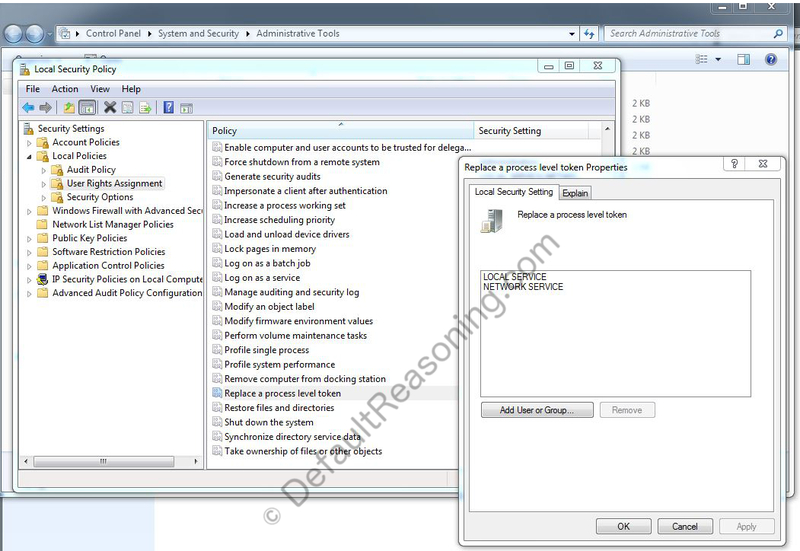 To solve the issue, you need to edit the local security policy on the Windows machine or in case of a domain account, the Domain Security Policy. Login with your Administrator account on the Windows machine. Go to Control Panel and open the Administrative Tools. Open Local Security Policy and expand Local Policies. Under User Rights Assignment, open the Replace a Process Level Token. Add the custom service account name that is being used by the vCenter Server service to the policy and click OK.
Run the Migration Assistant again and you should be able to proceed with the migration now. Tested on Windows Server 2008 R2 running vCenter Server version 6.0 Update 2.